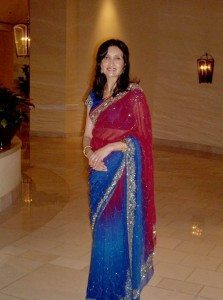 Neelam Bhardwaj is an immigration lawyer in Greensboro, NC and received her Juris Doctorate law degree from Nova Southeastern University, Florida, in 1989, where she was a Dean’s List member as well as the Freshman Moot Court Champion. Ms. Bhardwaj also holds a Bachelors of Arts law degree (with honors) from the University of Kinston Law School in Surrey, England (1984). She is admitted to practice in North Carolina and Florida, and is licensed by both State Bars. She is also a member of the Federal Bar for the Middle District of NC. Former positions she has held include a lectureship at University of Nairobi Law School, in Nairobi, Kenya, and a Trial Court Law Clerkship with the 17th Judicial Circuit in Broward County, Florida, where she clerked for criminal and civil judges and drafted several final opinions and orders that were published and cited as precedent decisions. 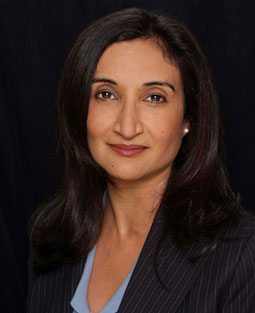 Over the years, Ms. Bhardwaj has been a frequent spokesperson for immigration law in North Carolina and has lectured at many private corporations, churches, and organizations in the Triad, such as the Triad Women’s Association, Elon Law School, and Employment Personnel companies. Neelam moved to Greensboro, North Carolina in 1992 and began her immigration law practice in 1993. Since 1995, she has been an active member of the American Immigration Lawyers Association. Her clients include major companies, small businesses, and many individuals from NC and neighboring states. She is actively involved in her local community, and has been a volunteer lawyer with the Women’s Resource Center of Greensboro for several years. She was also on the Board of the Piedmont Interfaith Council, where she was often the Keynote Speaker at the annual Thanksgiving celebration. She has lectured and presented workshops on I-9 compliance (labor law issues) and is regularly referred corporate immigration business from other lawyers in the area. Ms. Bhardwaj has lived and worked in Zambia, Kenya and the United Kingdom and has traveled extensively throughout Africa and Europe. Her interests include art, literature, history, yoga, reading, cooking, traveling, and tennis. She is of North Indian descent, was born in Uganda, Africa, and grew up in England and Zambia. Since 2006, Neelam has actively supported the Calcutta Fund, which helps provide medicinal and nutritional supplies to mothers and children living in the slums of Calcutta, India. To learn more about the organization or make a contribution, click here.